CMBA profiles one or two members every month. This edition features Kellee Pratt blogs at Outspoken and Freckled. 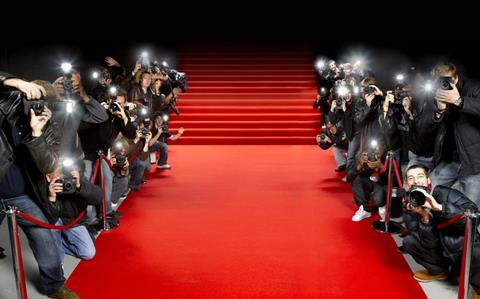 What sparked your interest in classic film? At a young age, I watched comedy classics on Saturday mornings at a local arts center/ theatre in Taos, New Mexico. They screened sure-to-please greats like Laurel & Hardy, Our Gang, and Mack Sennett shorts. 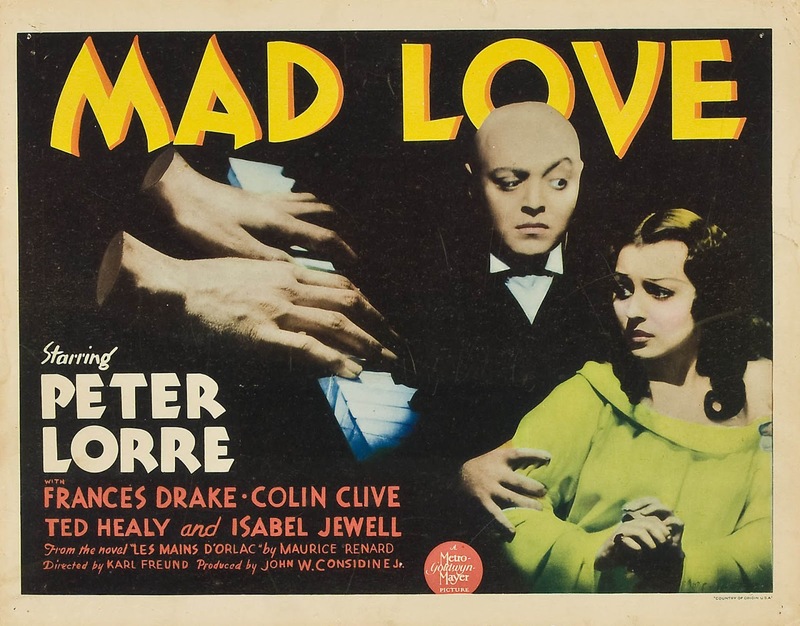 My grandmother was also an early influencer who introduced me to jazz, mid-century modern style, and classic films such as A SHOT IN THE DARK, IT’S A MAD, MAD, MAD, MAD WORLD and WITNESS FOR THE PROSECUTION. CMBA profiles one or two members every month. This edition features Kendra Bean who blogs at Viv and Larry. 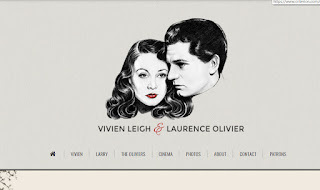 Kendra Bean’s Viv and Larry is a treasure trove of information on Vivien Leigh and Sir Laurence Olivier. Launched in 2007, Viv and Larry is the go to website for everything you need to know or want to know and discuss about these two immortals. But wait, there’s more! Kendra is an author, historian and museum curator. She is the author of Vivien Leigh: An Intimate Portrait and co-author with Anthony Uzarowski of Ava Gardner: A Life in Movies. There’s more to say about this California girl now living in England, but I will let her tell you. 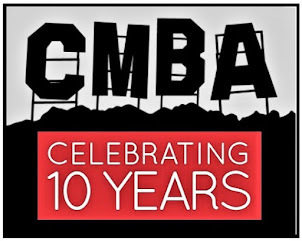 It's CMBA Awards time again and an email went out to all members last night soliciting awards submissions. Entries are due by the 15th of September. Preliminary voting should be done by the end of the month and the final ballot will follow. If any member hasn't received last night's email, please advise by commenting here. Thanks! CMBA profiles one or two members every month. This edition features Julia Ricci who blogs at Cinema Crossroads. Julia Ricci’s Cinema Crossroads is both smart and entertaining. Take a look at her review of the cleanest condemned film in history, The Moon is Blue. One of my own favorite post's is Julia's take on J.D. Sheldrake, the villainous womanizer in Billy Wilder's The Apartment. In 2017, Julia, like many other CMBA members, attended the TCM Film Festival (she returned again in 2018). Julia is also a Film Programming Coordinator for Heartland Film in Indianapolis, Indiana, but I will let her tell you more about that in the interview below. CMBA profiles one or two members every month. This edition features Linda J. Sandahl who blogs at A Viewer’s Guide to Classic Films. 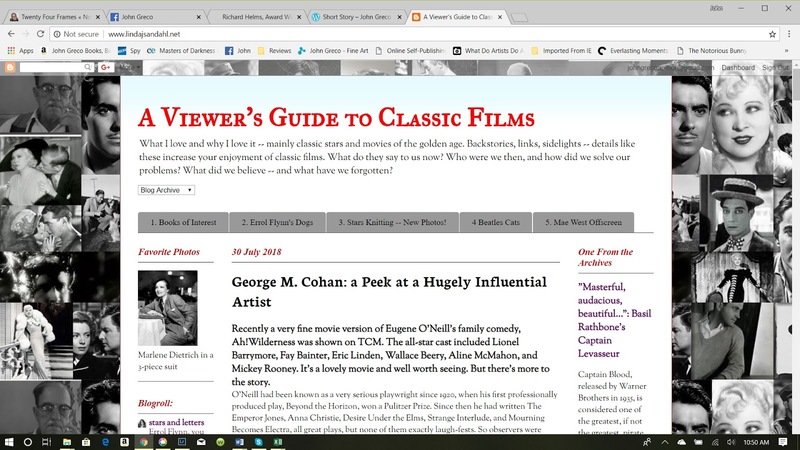 A Viewer’s Guide to Classic Films is filled with backstories, analysis, film, and book reviews. 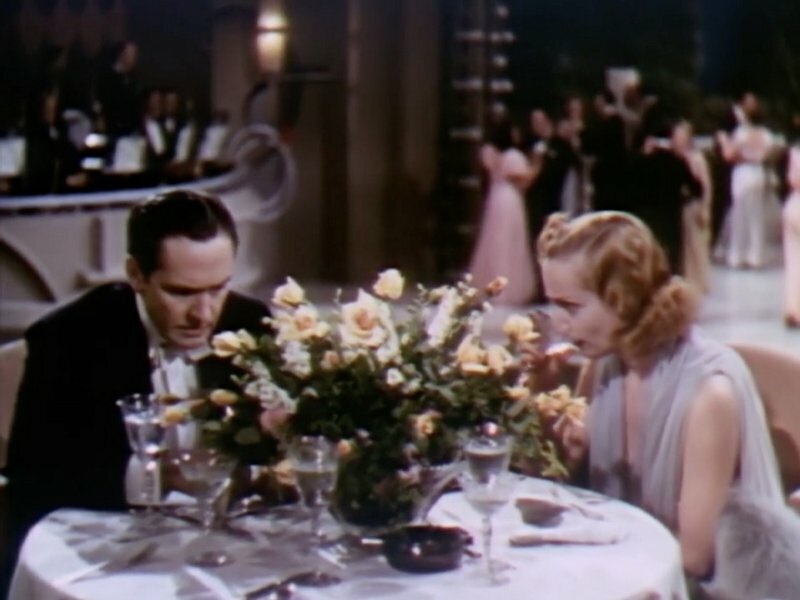 In many cases, Linda takes a look at what these classic films say to us both then and now. 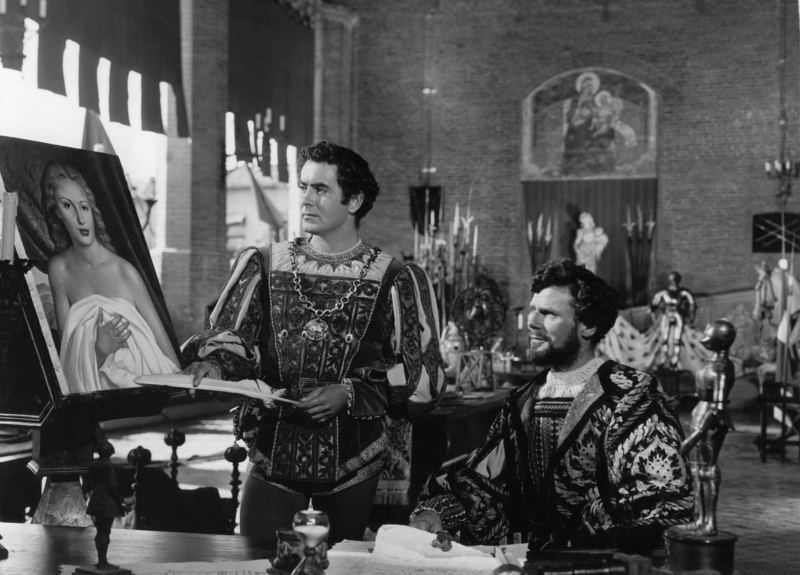 Check out Linda's post The Fight for Truth: Paul Muni in The Story of Louis Pasteur. Linda has worked as an associate editor on Steven H. Scheuer’s Movies on TV, a precursor to Leonard Maltin’s similar Movies and Video Guide series. Linda is also the author of A Viewer’s Guide to Rock and Roll Films 1955-1985, now available as an ebook. 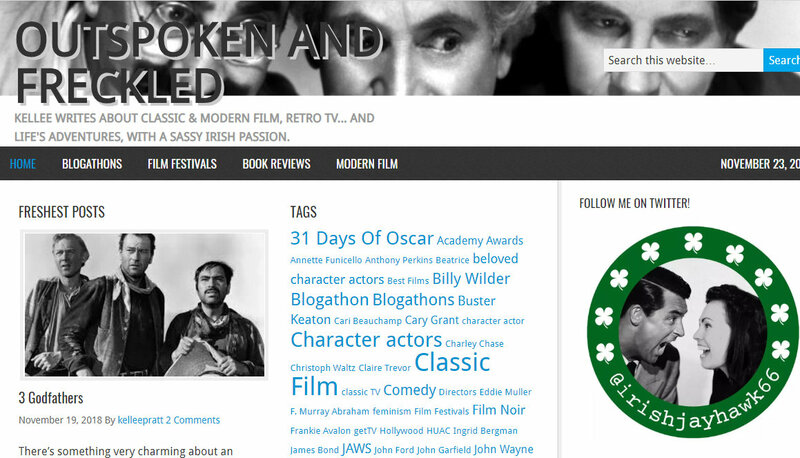 CMBA profiles one or two of our classic movie bloggers every month. This week, we're featuring Hal Astell, from Apocalypse Later! Apocalypse Later is a site with a lot going on. In addition to posting reviews, some quite in-depth, Hal covers a variety of events and festivals, often making appearances or running "mini-festivals" within established Cons, and even runs an Apocalypse Later Film Festival of his own. Under the imprint of "Apocalypse Later Press," he's published books on a variety of film related subjects: everything from Chaplin's years at Keystone to the work of buxom bombshell Tura Satana. Hal is nothing if not surprising, and also dedicated - the sheer volume of his work is overwhelming. 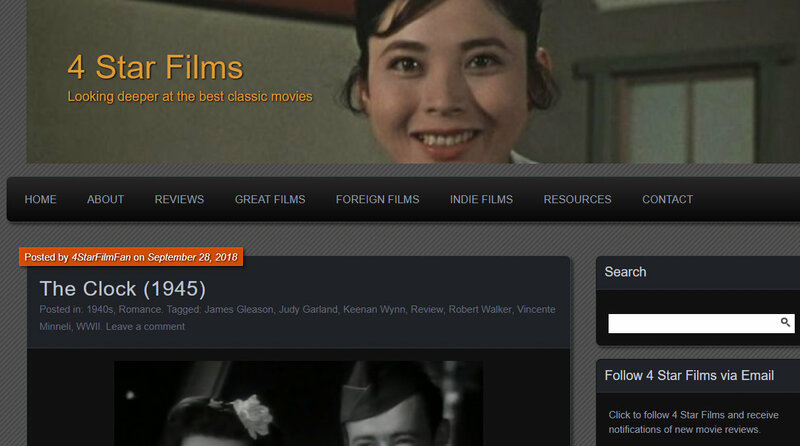 CMBA profiles one or two of our classic movie bloggers every month. This week, we're featuring Letícia Magalhães Pereira, or "Lê," of Crítica Retrô! 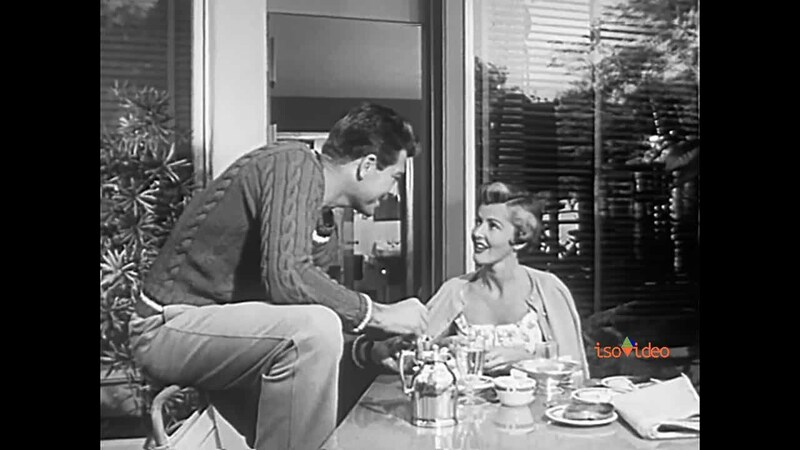 Crítica Retrô bills itself as "Classic Film with a Tropical Twist." Coming to us out of Brazil, it appears bilingually in Portuguese and English, and may give readers a cultural perspective we don't often see on the history of film. Despite her tender years (she tells us below she started the blog while still a teenager! ), Lê offers us fascinating insights into movies older than her own parents. 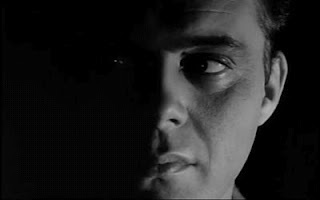 She'd like you to take a look at a piece she did on Brazilian-born director Alberto Cavalcanti. She says, "I did a big research to write it, and could also have fun and improve my skills at working with info graphics with all the pieces I've done for the post." We agree that it's great fun and new information for most of us who thought we knew it all about classic film. You can read the post here. 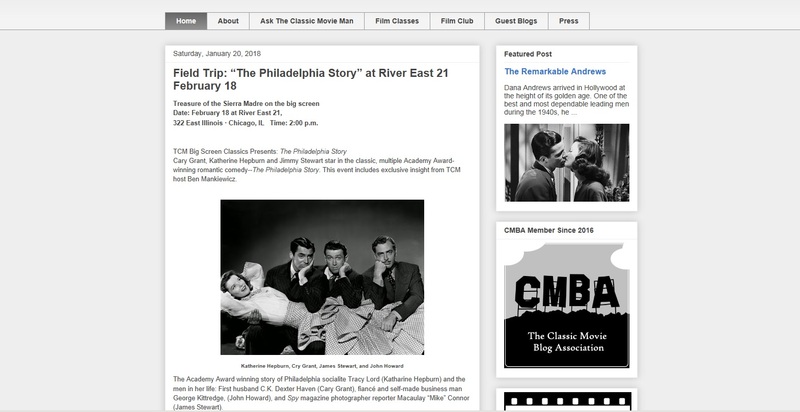 CMBA profiles one or two of our classic movie bloggers every month. This week, we’re featuring Kayla Rhodes, of Whimsically Classic. 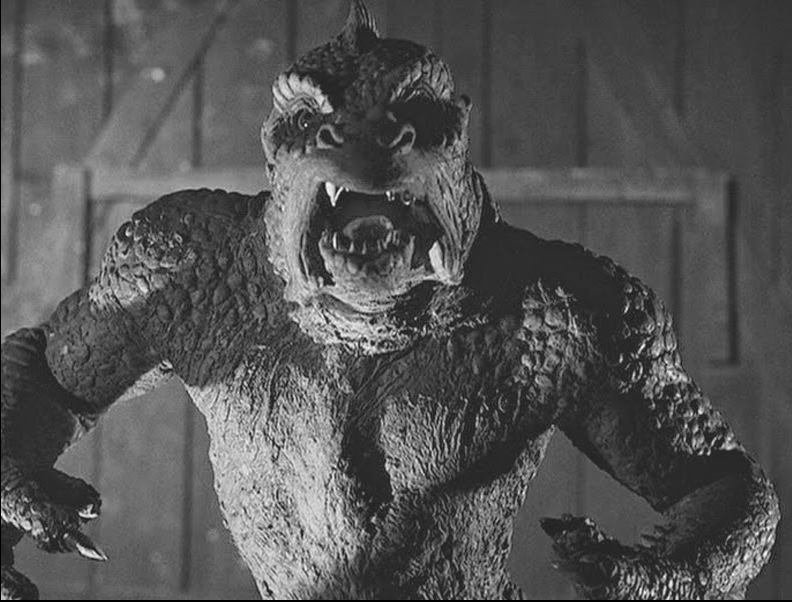 Kayla, who writes the "Whimsically Classic" blog, describes herself as an "old soul," which may explain how she has so much to say about classic film. Her posts tend to be very detailed and informative, and her responses to our questions are no exception to her verbosity and wit. She would like readers to take a look at this post, her entry in last year's "National Classic Film Day" blogathon. She reviews her five favorite classic movie performers and shares why they mean so much to her. She also admits to using the opportunity to re-post favorite images of Errol Flynn and Gene Kelly, because, as she says, "If you can't post (and re-post) beefcake photos on your blog, where can you post them?" CMBA eBooks Available on Amazon! 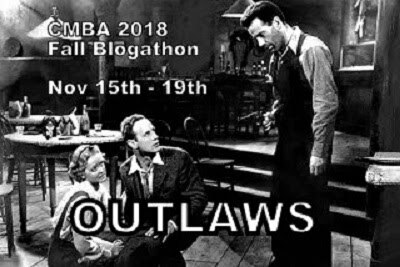 Last year, CMBA hosted two great blogathons: Underseen and Underrated and Banned and Blacklisted. We had a number of really fine entries for both events and these essays have been collected and edited by Annette Bochenek into two new ebooks available for purchase on Amazon and for free on Smashwords. 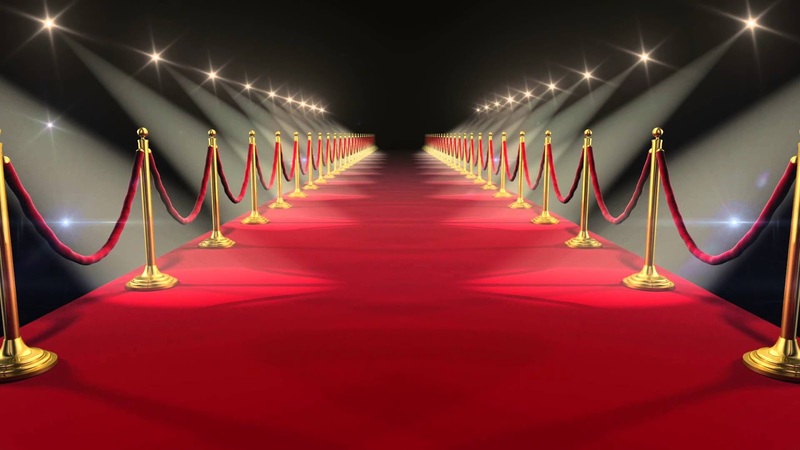 You may have seen them being promoted on Facebook at the CMBA Private Screening Room, but if not, here is some more detail about them.... please check them out! 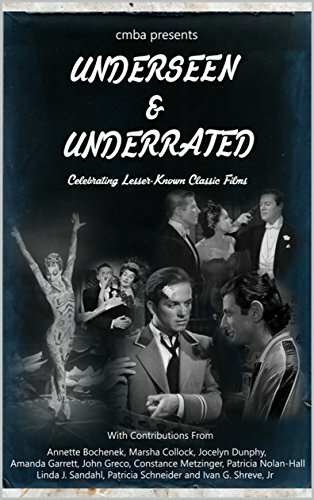 This collection of ten essays turns the spotlight on rare films including Afraid to Talk ( 1932 ), Carrie ( 1952 ), Simon and Laura ( 1955 ), A Majority of One ( 1961 ), and Between the Lions ( 1977 ). John Greco, Patricia Schneider, Jocelyn Dunphy, and Ivan G. Shreve Jr. are among some of the contributors. All proceeds from Amazon sales go towards the National Film Preservation Foundation. 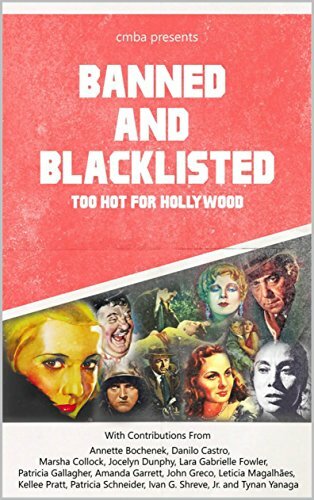 This collection of thirteen essays explores the films and actors who were affected by censorship, whether it be the result of the Hays Code, racism, or the McCarthy-era blacklist scare. Contributors to this ebook include Lara Fowler, Annette Bochenek, Danilo Castro, and Kellee Pratt among others. All proceeds from Amazon go towards the National Film Preservation Foundation. 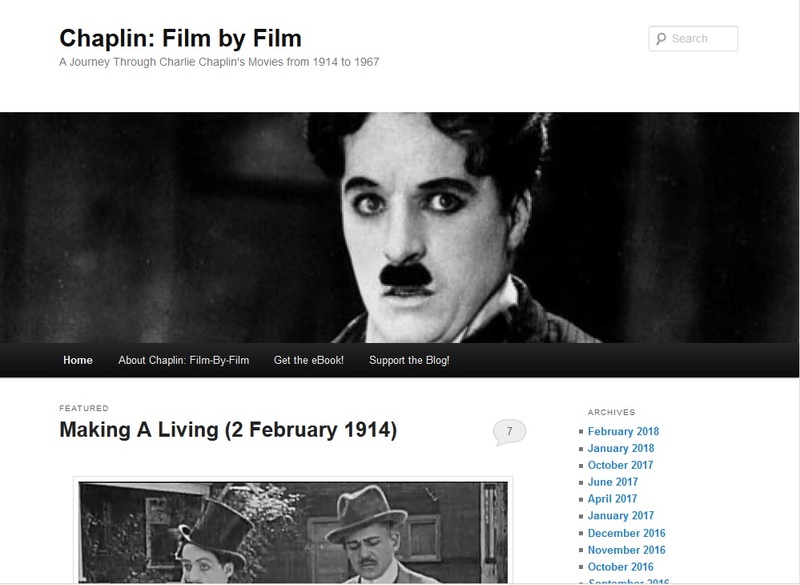 Chaplin: Film by Film is a project after our own heart. 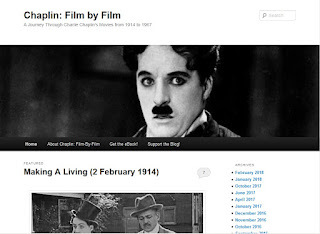 On the centenary of the release of each of Charlie Chaplin's movies, blogger Brian J. Robb posted an homage to that film. This gave him a very busy 2014, but as Chaplin's output slowed down, Robb opted to surge ahead of him (he's all the way up to September, 1918, now!). 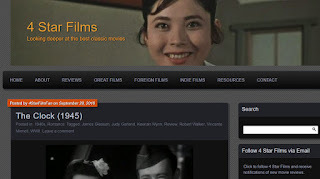 In general, each post includes a synopsis, basic production information, stills, historical background, film analysis, and some excerpts from contemporary reviews. Whether you're a complete novice or a Chaplin expert, you're bound to learn something and have fun doing so. Brian would like you to take a look at this post, in which he discusses Chaplin's historic contract with Mutual Film Company for $670,000, which made him the highest paid film maker at the time. It's an original write up of a much-reported event, one that contributed to the rise of the Hollywood "star system" that followed. According to Brian, "It’s a nice, self-contained story covering a pivotal period in Chaplin’s professional and personal life, and a good jumping on point for readers keen to discover more about Chaplin, including his two years of filmmaking prior to that point and everything that followed from it." 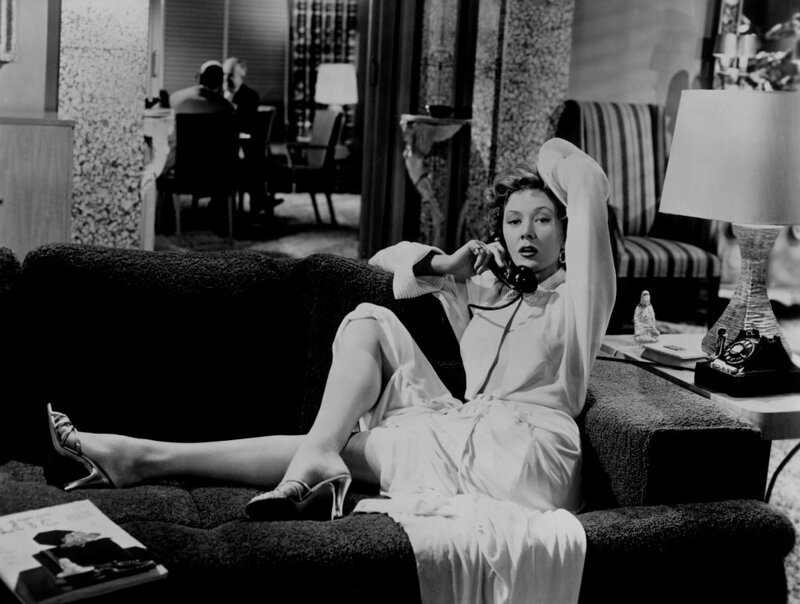 Classic Film Observations and Obsessions is the expression of one woman’s fixation on classic film. Jocelyn likes to focus on one actor, director, or theme in films and run through as many movies and as much reading as she can, until she moves on to another focus. 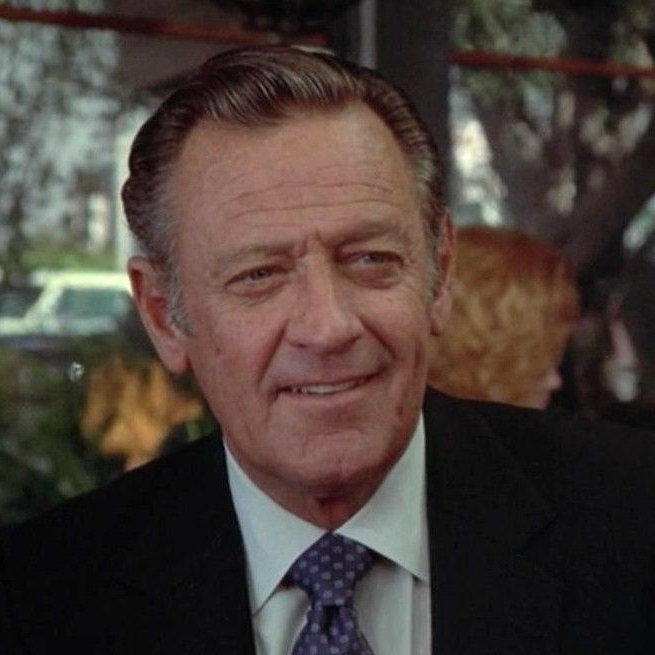 In 2016, for example, she put a lot of time into Van Heflin, a one time winner of Best Supporting Actor who shows up in a surprising range of movies. More recently, she’s been looking at Werner Herzog, who she got to see live at a screening. When Jocelyn sinks her teeth into something, she doesn’t let go easily! Jocelyn would like you to take a look at this post, from the centennial of the birth of actor Robert Mitchum. It’s another example of her going in depth into the workings of an actor who fascinate her. It’s a review of the 1973 Mitchum movie “The Friends of Eddie Coyle,” a lesser-known movie she was lucky enough to see screened in a theater in Boston. She tells us of the post, “I think it captures my own voice well, in how I logged my own reactions to the movie. I think those who read it will get a good sense of who I am as a blogger and film enthusiast.” We would have to agree! 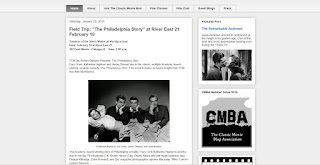 The Louise Brooks Society is one of the most prolific and professional of the blogs in CMBA. Almost every day, there are updates on the site, and the writing and information is top-notch. It's a blog with a very specific focus - a silent film goddess with a short career but an iconic image. Author Thomas Gladysz has been running the society for over twenty years now, and he never seems to run out of things to say or images to share Louise and her world. A look at Classic Movie Man is like being invited to a great film festival. 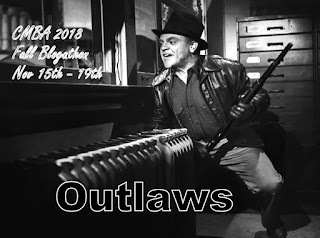 Stephen Reginald, the writer of Classic Movie Man, posts news about local screenings in Chicago, meetups, and presentations he's giving, and his love of classic film comes across in everything he writes. One section, "The Film Club," is dedicated specially to these kinds of local events. Stephen has also lectured on classic movies at the Facets Film School, and this article in Chicago Magazine makes it sound like these discussions were too fun to miss out on.